standard	What does the ticket price cover exactly? Another great question! Once you buy your ticket, pretty much everything is covered. 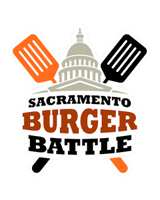 All the burger samples you can eat, drinks, live music, desserts, a souvenir glass and a chance to vote for your favorite burger. For VIP guests, your ticket includes early entry into the event, free parking and a craft cocktail.